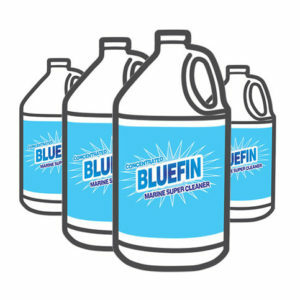 BlueFin Marine Cleaner has easy directions for use. 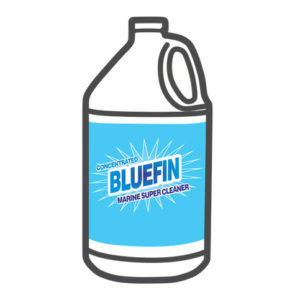 It can simply be sprayed onto any soiled surfaces and then wiped or scrubbed away, taking the dirt and grime with it. Always test older surfaces, chalked and sensitive paints and finishes on a small, inconspicuous area first. It is recommended to dilute per application on sensitive or heavily oxidized finishes.